Studio 3 Gallery at the University of Kent is pleased to present Giving Life to Painting a new major exhibition of works by Rose Hilton. Featuring over twenty-five pieces, these works exemplify Hilton’s sensitive and empathic use of colour and form to capture the intangible sensibilities of her landscape and her models. Hilton was born in Leigh, near Tonbridge, and grew up there as part of a strict Plymouth Brethren family. She studied art at Beckenham School of Art, and then at the Royal College of Art, where she was part of a brilliant generation of students including Robyn Denny, Richard Smith, David Hockney, Joe Tilson. 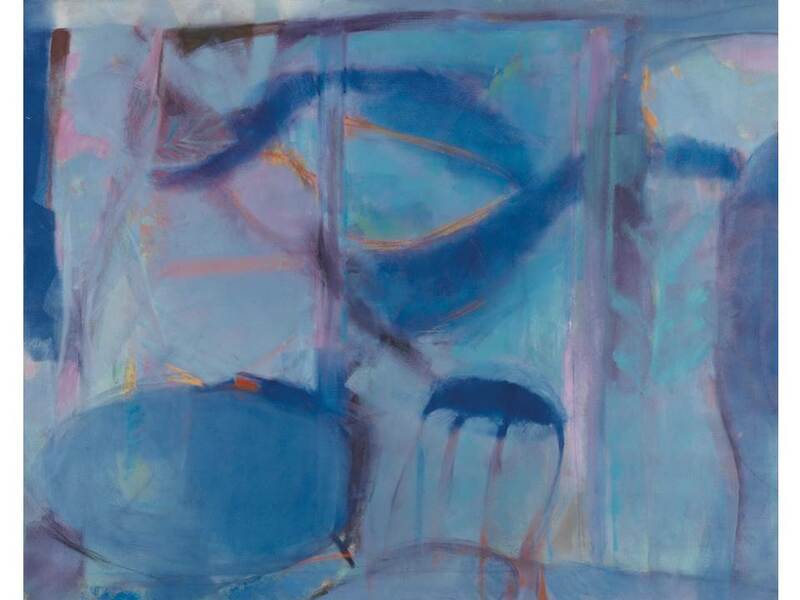 She married the painter Roger Hilton in 1965 and moved with him to Cornwall, where she has lived ever since, forming part of the well-known St. Ives school. This exhibition marks Hilton’s return to her home county of Kent and will be held in conjunction with a parallel exhibition at Messum’s Gallery in London.